Royal Voluntary Service is one of the largest voluntary service organisations in the country, inspiring and enabling 20,000 volunteers to give their skills, experience, energy and time to help people in need in hospitals, at home and in the community. With unprecedented pressure facing public services and a rise in mental health concerns among young people, we worked with national volunteering charity, Royal Voluntary Service to launch their Step Forward campaign. The campaign is a major call to arms for young people to step forward and volunteer their time and skills, and is the biggest recruitment drive since WW2. Using research among 1000 volunteers, we found that volunteering just once a week sparks more joy than any other activity, and matches the feeling of ‘runner’s high.’ Additionally, the results showed that 34% reported feeling less stressed after volunteering and 65% said they felt happier. To target young people, we recruited TV presenter Ferne McCann to launch the campaign. 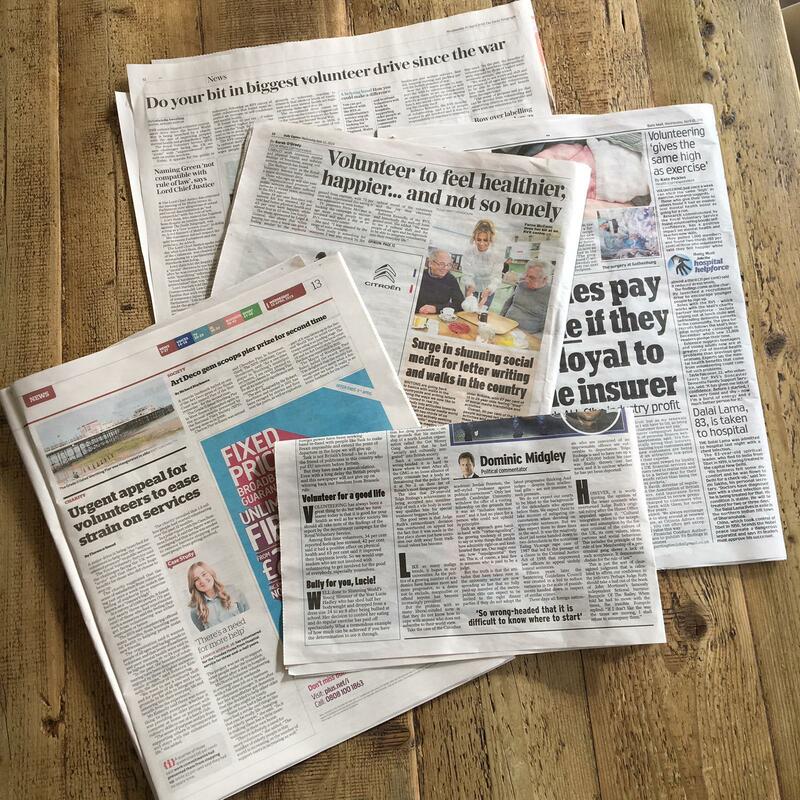 We released the statistics along with images of Ferne volunteering at a Royal Voluntary Service community centre where she served food at a lunch club for elderly local residents at risk of isolation, and pushed a trolley of healthy snacks and newspapers to immobile patients at a local hospital. The campaign resulted in a full spread of news, lifestyle, and entertainment coverage, including Mail Online, Daily Telegraph and BBC News. We also achieved broadcast interviews including BBC 5 Live, TalkRADIO and Loose Women. We’re waiting on stats for volunteer sign-up numbers but our clients at RVS tell us there has been a lot of interest.